6-Year-Old Seriously Injured in South 32nd Drive Crash In Lake Worth | Schuler, Halvorson, Weisser, Zoeller & Overbeck P.A. A young girl has been hospitalized following a traffic accident that occurred in Lake Worth. The Palm Beach Post reported that the 6-year-old crash victim was airlifted to Delray Medical Center to be treated for serious injuries sustained in the Palm Beach County crash. According to Teri Barbera, a spokesperson for the Palm Beach County Sheriff’s Office (PBSO), a parent dropped a 6-year-old girl and another unidentified student off at a school bus stop by the intersection of Roberts Lane and South 32nd Drive, close to Congress Boulevard and Sixth Avenue South, shortly before the crash. The students were crossing the road toward the school bus stop when an approaching sport utility vehicle struck the unidentified 6-year-old. Reports indicate that the driver of the Ford Expedition SUV may not have seen the students early enough to stop as they crossed the road. The unidentified motorist reportedly told traffic investigators that the kids “came out of nowhere” at the scene of the Lake Worth accident. The traffic accident victim was ultimately flown to Delray Medical Center to be treated for serious, though unspecified, crash-induced injuries. A full investigation into the crash is in progress. Accident attorney Jason Weisser of Schuler, Halvorson, Weisser, Zoeller and Overbeck responded to this unfortunate crash: “This is a tragic accident and especially sad when children are hit by a car. 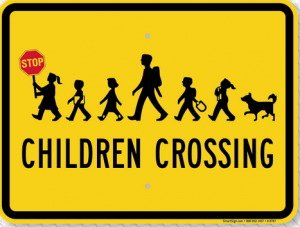 It appears that the driver of the car may have not seen the children crossing the road. It is possible that the driver that caused the accident was distracted while behind the wheel but at this point that is unknown. Please be careful whenever you are driving a motorcycle, car, SUV or truck. This is especially true when there are children in the area. We hope that all parties involved consult with an experienced trial lawyer. If you have been injured in an accident, call my office for a free consultation to find out what are your rights”.